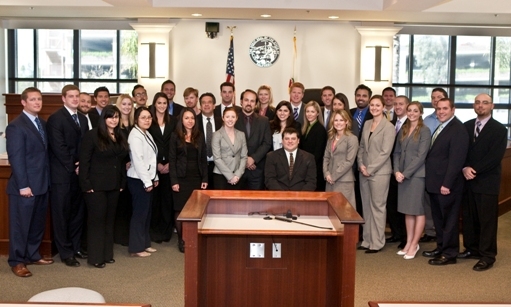 The Mock Trial Board represents Fowler School of Law at various mock trial competitions. Teams of three or four members prepare and argue a case in an actual courtroom, with members of the bench and bar serving as judges. This includes making opening statements and closing arguments, conducting direct and cross-examination of witnesses and raising evidentiary objections when appropriate. The cases argued are carefully drafted legal problems that give members an opportunity to develop and enhance their trial advocacy skills in a courtroom setting. One thing that sets our program apart from other schools, is that all of our coaches were on the Mock Trial Board at Chapman and did extremely well in mock trial. They are also currently either District Attorneys or civil litigators. This is valuable because they can offer advice on how to perform well at mock trial, and in the real world of litigation. That means our focus is not only on preparing students for success in mock trial, but also to prepare students for success as future litigators. To join the Mock Trial Board, interested students must try out and compete in an internal mock trial competition. Students select partners and are given a case to prepare and argue. On the day of the competition, student teams conduct a trial with other student teams in a courtroom. 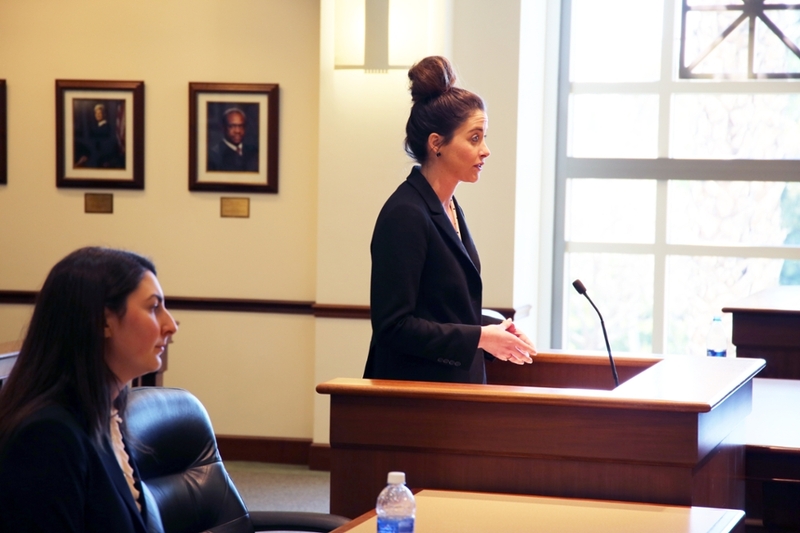 Mock Trial Board members, along with law faculty and members of the local bench and bar, evaluate and score the students on their "raw" trial advocacy skills. Members are then invited to join the Board based on their scores. Students receive academic credit for interscholastic trial competitions.